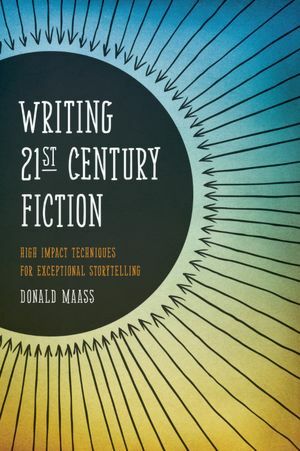 I'm reflecting on chapter 3 of Writing 21st Century Fiction by Donald Maass, "The Inner Journey." Rather than regurgitate what you've already read, I've picked two ideas that were especially relevant and challenging to me. Feel free to add other ideas from the chapter. Haven't read the chapter? Don't let that stop you from joining in. We love hearing your voices. Think of your favorite story of all time. Now, what has kept that story more like a memory than fiction? Was it the conflict? The meet-you-for-lunch reality of the characters? The action? The snappy dialogue? The lyrical prose? According to Donald Maass, it's the emotional landscape of the story. And the starting place is opening ourselves up to our own emotional landscapes. We've been talking about the power of writing personally, honestly, transparently--except when, as Latayne pointed out on Monday, writing from reality can be dangerous. But typically, the more willing we are to mine our emotional lives, the more compelling our characters will be. By way of example, let me give you peek into one of the most traumatic periods of my life. If you're thinking high drama, prepare to be disappointed. Just as my first novel was gaining the interest of an agent and a publisher, I started having weird physical symptoms. My hands and my feet felt as though someone was driving spikes through them. Doctors were clueless. To minimize the pain, I discovered two coping mechanisms: 1) Stay in the most neutral position possible. This meant lying on the floor, usually with my dog, watching the 2000 election returns. Remember hanging chads? 2) Apply ice to the back of the neck. imagination only) who dismissed me. I wondered if God could be trusted. Was He even there? Could I die soon, please? I dug for courage to make it to 9 am, 10 am, 11 am...I felt betrayed by the church. I'd become invisible. My friends disappeared. I clung to the thinnest threads of hope. I asked my husband to hide my sleeping pills. My life devolved into doctor's visits, who I realized weren't going to solve my medical mystery within the allotted 1-hour period and bone-crushing loneliness. Until...until...trust leached from my bones and I settled in to live well with pain. Writing a novel about lying on the floor for fifteen months would be b-o-r-i-n-g, boring! But writing a story with the knowledge of this kind of upheaval was like opening a Swiss Bank Account of emotional currency I could loan to my characters. And connect with my readers. Strong characters, the kind that become as real to you as those you dearly love, have strong inner conflict. In structuring your story, you will want to deliberately inflict your main character (at least) with a very strong inner conflict. The description hints at the inner conflict. The girl cannot get close to people she cares about, but she desperately needs and wants to get close to those people. All while I read the story, I ached to draw Victoria into the circle of love that is my family. She. Is. A. Character. In. A. Novel. And still I ached. Hope would present itself and be snatched away. She would sabotage every opportunity at intimacy in huge ways. I fell to sleep thinking about her. I woke up reaching for my Kindle to see how she had fared in the night. The resolution is brilliant, hopeful yet guarded. It's honest. I will never forget her. I wonder what emotional currency the author brought to this story. How did she gain insight into someone with reactive detachment disorder? That is for her to know and for us to enjoy. What struck you about Maass's ideas dealing with the inner journey? What stands in the way of creating a rich emotional landscape for your story? Can you cite examples of stories that successfully connect emotionally? When structuring your story, do you deliberately juxtapose your character's desires? Will you? Anything else from the chapter you care to discuss? I'm another huge fan of "The Language of Flowers". I still think about that book, often. The emotional journey wrung out my heart. Breathtaking. I wrote down that quote from Maass about inner conflict. My brain's already ticking over about how I can use this to deepen the conflict in my story. Thank you so much. Karen: I'm glad you found the post helpful. Maas discusses another book, the gods of Alabama that I haven't read to illustrate inner conflict that might be helpful. A surgeon finally listened to me. He asked, "How much of your life does your pain effect?" I answered every part of my life. He looked once more at my neck and found a ruptured disk. It took 5 years for the insult to my spinal cord to quiet down. I'm so blessed to only have minor residual symptoms. Two years ago, in the midst of a highly emotional situation, I knew that the writer in me was taking notes. What the room smelled like. How the people spoke. How my heart raced with anxiety the whole time. But I knew I had to store up all the details. To fill that account. Not to exploit, but to share the emotion. That 2 weeks have pushed me forward to write this second novel that I'm working on. It's difficult to write because it draws on what I've felt. Witnessed. Lived. But I know that it will be well worth it. Thank you for this post, Patti. And I'm so glad they found out what was wrong with your body! I don't even want to imagine the pain you felt. Yikes! Inner conflict is important--but I've read some works in process that confuse inner conflict with the main conflict in the story. Inner conflict isn't plot. BUT. It should influence plot in several ways. Inner conflict mirrors the main conflict in the plot, but it isn't the main conflict. Says Patti with regard to The Language of Flowers, "The resolution is brilliant, hopeful yet guarded. It's honest." Oh yes, that made all the difference! That is why I respect authors like Vanessa Diffenbaugh and say, Bonnie Grove - They write with an understanding of psychological health and reality. We've got to be true to the facts, even in our fiction. Susie: Don't feel guilty. Your powers of observation are a gift. That's part of being a writer. Bonnie: Thanks for the clarification. Cherry: When I think about it, the only true ending we have in this life is death. That's our period for existence on this earth (for now). The rest of our lives are a continuum. On any given day, there are life issues resolved (usually not very dramatic--the car washed, forgiveness received, an idea born), but many more things are left in a state of progression. Sometimes, the most satisfying endings to a story involve the hero turning toward a new destination, only able to limp a few steps before he takes a rest, but his eye remains on the prize. Patti, what a relief that must have been to be taken seriously at last, and for them to pinpoint the problem. Yikes. I don't envy you. So very glad you got better. You know, that comment you made to Cherry is so profound. I love that part about the "turning." You're so right. It's not about arrival, it's about affording a glimpse of the final destination and showing the character's face set towards it. That's my favourite type of ending. And Bonnie, funny you should say that. I've been talking about that very thing recently with a friend. I think it's a really common misconception people have, to think the internal conflict IS the story, when of course it's not. I think of it like this: the external conflict is what the story is about. And when done well, this should be a metaphor for the internal conflict, which is what the story is "really" about. I am learning lots through this post. When I first began my story I wanted to represent human character. Then I began to doubt readers would believe how doubleminded my characters are. They feel two or three conflicting emotions in the same moment. They are pulled apart by the wild horses of their motives. Karen: All of my favorite books are like that, but beware that editors will push your to further resolution. Thanks for stopping by, Karen. Henrietta: Yes, you want your characters to be fully human, definitely conflicted in ways that can't be resolved. 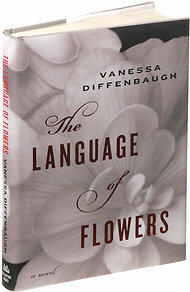 I highly recommend The Language of Flowers as a wonderful example of how inner conflict influences plot. Please note: this is not a CBA book.